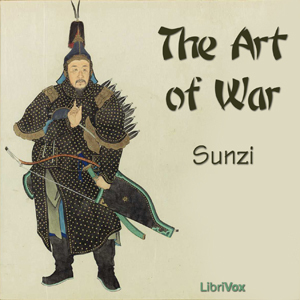 Listen to "The Art of War" on your iOS and Android device. Great book. Everyone should read or listen to "The Art of War" by Sun Tzu at least once. Whether you are going into the military, or any work setting overall. 'The Art of War' doesn't just relate to military strategy; it delves into how to assess your opponents, find the upper ground in stalemates, and organize your thoughts, settings, and connections in order to make an informed decision. In addition, the publishers, LibriVox, have great recordings, like this one. I have not had a problem with any of the audiobooks I have heard from this publisher. Interesting book. Saw a lot of negative reactions to other narrators of the same book, but this one is good. Not over the top. Simple and plain reading that is not distracting.